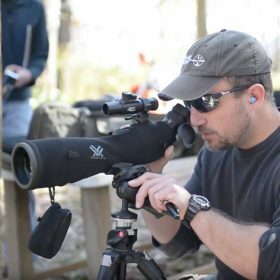 Since early 2016, Kirk Young of the Precision Rifle Media Podcast has produced more than 100 shows (even more under the show’s previous name) featuring interviews with some of the most recognizable names in the precision rifle game. These interviewees include industry manufacturers, professional shooters, and distributors. 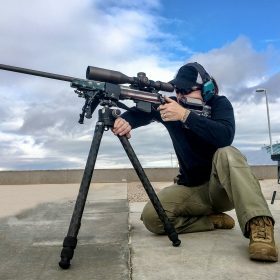 Here are the top 10 Precision Rifle Podcasts selected from the hundreds available at Precision Rifle Media. I have personally listened to every episode produced over the years, so I decided to come up with a list of the Top 10 Precision Rifle Podcasts that I would recommend to new listeners or listeners who may want to review some of the great information these shows contain. I first set out to make a list of the Top Ten Episodes only, however, some of the individuals listed have been featured on multiple shows and these episodes are equally informative and entertaining. So, I will list the names of the individuals and the corresponding episode number to make them easier to find. Bonus extras! I have chosen these episodes based on what I felt to be the most informative, episodes that had the most downloads, and episodes that I enjoyed the most overall. The list is in no particular order of importance or rank. So, without further discussion – here’s the list of interviewees and shows! Nick has been a popular guest on the show. He provides quite a bit of technical information in regards to both laser rangefinders and information about the Applied Ballistics engine, which is included with various electronic devices. Nick was on show 057 discussing his involvement with testing laser rangefinders for the Applied Ballistics book. In PRM 075 Nick discusses more about Applied Ballistics and the Kestrel Meter. On episode PRM 083, the science of optics in regards to atmospheric conditions is discussed as well as some other technical points. The PRM 095 showcases Nick discussing the finer points of math as related to the Weapon Employment Zone tool (for predicting hit probabilities) created by Applied Ballistics. Emil appears in episode PRM 098. He discusses his history in competitive shooting with the Army Marksmanship Unit, technical information on reading and calling wind, as well as the Nammo group and the brands he helps to represent. Ryan is an Army veteran of 16 years and one of the most popular guests Kirk hosts. Ryan presents a great sense of humor and loves to talk about what grinds his gears after Shot Show in episodes PRM 041 and PRM 069. He also talks about Magnetospeed as a representative/employee providing information on different models of chronographs as well as target hit indication systems. Fred is the owner/operator of Bison Tactical in Boulder, Colorado. Bison Tactical is currently the title sponsor of the Precision Rifle Media Podcast. He shoots many national and regional matches during the year and he sponsors Team Bison Tactical. He has competed in the Competition Dynamics Sniper Adventure Challenge several times, making the podium more than once. Fred talks about his experiences at the SAC in PRM 023, PRM 026 and PRM 061. Regina is an exceptional precision rifle shooter in both PRS and the NRL. She was the first female to take home a first place trophy from a national PRS event (twice). She loves helping new shooters and discusses having a “Winner’s Mindset” on PRM 076. Regina returns to the show as a guest for PRM 084 to talk about her second major win and to discuss the sport even further. David is well known in many shooting circles for his shooting skills as well as his shooting accessory and bullet design skills. His name is his brand. Tubb can be heard talking about rifle accuracy and some of the exceptional products he offers on PRM 007. Jim is another popularly downloaded guest. He makes appearances in PRM 043 where he discusses the original Border War series in the Midwest and its inception. During PRM 099, Jim talks about his company Elite Accuracy and discusses the new Border War Serues/NRL regional series for 2019. Any time Bryan is giving a presentation or he’s the subject of an interview- people tend to listen. Bryan is a prolific author in the realm of small arms ballistics with his book series from Applied Ballistics. He’s also the engineer behind the Applied Ballistics Weapon Employment Zone tool and the built in ballistics engines of the Kestrel meters. He can be heard discussing these things and more in PRM 004. Josh is the owner of PVA and an accomplished gunsmith. Josh’s interviews on the show are some of the most downloaded episodes of the series. In five episodes to date, he talks about the finer points of gunsmith work, rifle actions, barrels, rifle combos, and more. Catch Josh on PRM 024, PRM 025, PRM 047, PRM 048, and finally, PRM 086. Both civilians and military personnel alike are trained at the Accuracy First ranges in north Texas, as well as on location for military training scenarios. He has ties with Horus Vision and is a proponent of the Horus reticle system. Todd is interviewed on PRM 009 where he discusses various aspects of external ballistics such as spin drift as well as holdovers. There’s the top podcasts. If you’d like to check them out visit http://www.precisionriflemedia.com/podcast and listen to them all. Perhaps on the drive to your next match. Justin Willhite is an lifelong avid rifle shooter from the eastern plains of Colorado. He is a blogger for Bison Tactical as well as for Precision Rifle Media. Justin is a match director for the South Central Region of the Border Wars Rifle Series, near Holly, Colorado. He continues to be a student of the sport and loves meeting both new shooters and old friends at the range! This entry was posted in Bison Tactical Blog and tagged Precision Rifle Blog, Precision Rifle Media, Top Ten Precision Rifle Media Podcasts.